Bill Wells is President, W. Wells & Associates, LLC, a management consulting firm. In his work, Bill focuses on a broad range of organizational and Human Capital issues. Additionally, Bill helps clientscreate a vision focused on advancing diversity, inclusion,culture change and transformation. Bill also works closely with senior leaders providing coaching and guidance during the change management process. Bill’s client organizations cover all different industries and include Fortune 500, as well as private, public and non-profit sectors. Previously, Bill served as Vice President, Global Diversity and Chief Diversity Officer for The St. Paul Companies (Fortune 200). Including this latest role, Bill has an extensive career in the corporate sector with over thirty-five years of experience including a variety of executive and general managementpositions in the telecommunications and insurance industries. Throughout Bill’s career, he has held keyleadership roles in Human Resources, Information Technology, operations, marketing, strategic planning and business development. Currently Bill servesas a mentor/executive coach with a national mentoring program (i.e.,Menttium 100/Momentum). This program is designed specifically to enhancethe effectiveness of high-potential business professionals, particularly persons of color and women, innavigating corporate cultures.Previously Bill was instrumental in facilitating the development of a special corporate consortium, known as the Minnesota Boulevard Consortium,including an innovative program designed to enhance recruitment and retention of diverse business professionals to major corporationslocated in the greater Minneapolis/St. Paul metropolitan area of Minnesota. 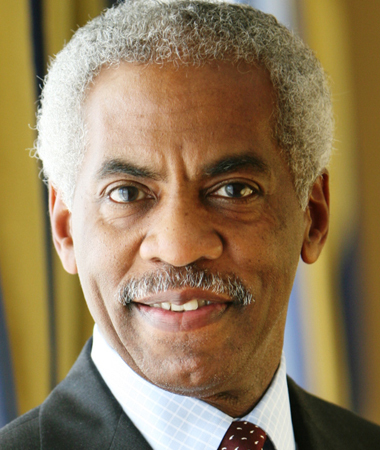 Bill has also proudly served as on the NBMBAA Board of Directors including national Chairman (2007– 2013); Chapter President –Twin Cities (NBMBAA, 1997-2001)),as well as leadership roles on various Boards for local non-profit and public sector organizations. During his long-time professional career, Bill has received numerous awardsincluding the Helping Hands award (NBMBAA), Lifetime Achievement Award (Multicultural Forum), Chairman’s Leadership& Diversity Champions Award (U.S. West Communications), Corporate Innovation Award (Bell Communications Research), Outstanding Achiever in Business & Industry (A.T. &T) and Outstanding MBA of the Year (NBMBAA, Twin Cities). Bill also led the Twin Cities Chapter (NBMBAA) to recognition as Outstanding Chapter of the Year 3 out of 4 consecutive years. Bill holds an MBA degree with a major in Marketing, a graduate certificate in Business Administration and a Bachelor of Arts degree with a Psychology major. Bill is a life member of both the NBMBAA and Kappa Alpha Psi Fraternity. Also, Bill is married and has two sons.